Vestry Staff Conference 2011: Contemplating "The New Normal"
The All Saints vestry and staff just completed the annual vestry/staff conference focused implications of "the new normal" for All Saints Church and our work and witness. Due to a last minute schedule change postponing Maria Elena Durazo's appearance in the Rector's Forum, parish members will get so share some of what the the vestry & staff experienced when Junior Warden Charlie Rahilly reprises his presentation at tomorrow's Rector's Forum. I was delighted to have had the chance to talk about marriage equality on NPR's "All Things Considered" with the always-fabulous Barbara Bradley Hagerty ... especially interested to hear that Al Mohler appears to have "thrown in the towel" on the marriage equality issue. Listen in. THINK ABOUT IT: What difference does your neighbor's marriage make in your life? Are your marriage -- or divorce or live-together -- choices up for scrutiny? (You can follow the link above to add your own answer to that question if you're so inclined. At All Saints Church we understand Holy Matrimony to be a physical and spiritual union, entered into within the community of faith, by mutual consent of heart, mind and will, and with intent that it be life-long. Our commitment to the sacrament of marriage being celebrated within the community of faith informs our policy of offering weddings for members of the parish. We are committed to treating equally all couples presenting themselves for the rite of Marriage. Effective June 2, 2009, the Vestry of All Saints Church unanimously passed a marriage resolution stating that All Saints is called to make the sacrament of marriage equally available to all couples, and that All Saints clergy will not sign civil marriage certificates for any couples, until the right to civil marriage is available to all couples. Read the resolution. We have not been serving as “agents of the state” on civil marriage since 2009. We still do weddings … lots of them … but we only do the sacramental part of the marriage blessing … we leave the civil part of the marriage contract to a judge or justice of the peace. We’re looking forward to getting back to being able to offer both equal blessing AND equal protection to all our couples … and yesterday’s DOMA decision takes us another step closer to that. Join City Conversations, with opening remarks offered by Occidental College Professor Peter Dreier, for a lively dialogue with the candidates for Pasadena City Council and PUSD School Board as they address Dreier's report on the "Tale of Two Cities," Tuesday, March 1, from 6:30 p.m. in the All Saints Church Forum. Dreier's report documents the wide disparity between rich and poor in Pasadena, and the questions facilitated by the City Conversations Strategic Planning Members will center around how candidates will address our city’s need for more jobs, affordable housing, and a better educational system. All candidates have been invited to participate. The School Board Candidate Forum begins at 6:30 p.m. and the City Council Candidate Forum begins at 7:45 p.m. The event is sponsored by City Conversations, a group of community leaders formed by the Office for Creative Connections at All Saints Church to promote policies and practices that create a just and peaceful community, and to identify and eradicate policies and practices that perpetuate racial and ethnic inequities. For more information contact Catherine Swanson at 626.583.2750 or cswanson@allsaints-pas.org. All Saints Church is located at 132 N. Euclid Avenue, Pasadena, 91101. 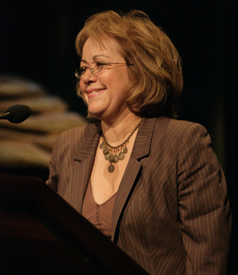 We are delighted to welcome labor leader Maria Elena Durazo, executive secretary–treasurer of the Los Angeles County AFL-CIO to the Rector's Forum on Sunday, February 27th. Ms. Durazo will share her experiences this past week on the front lines in Wisconsin where she and 160 Southern California workers went to support the people of Wisconsin and to fight to preserve the fundamental rights of working people. Don't miss this timely and important conversation with a true giant of economic justice! 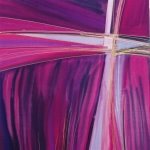 Lenten groups, offering both fellowship and a time for reflection, begin in March. Childcare is provided for all groups by calling 626.583.2781 to reserve at least 24 hours in advance. 6:30 p.m…A History of Christianity with Jim Prendergast | Viewing the BBC presentation of Diarmaid MacCulloch’s “A History of Christianity – the First Three Thousand Years.” The episodes are The First Christianity; Catholicism: The Unpredictable Rise of Rome; Orthodoxy: From Empire to Empire; Reformation: The Individual before God; Protestantism: The Evangelical Explosion; and God in the Dock. Our faith tradition is more complex than we realize, and MacCulloch is a great tour guide, making for lively discussion. March 6 – April 17 in the Forum. 6:30 p.m…Forgiveness for Lent with Martin McIlvenna & Candace Elliott | Connie Domino asserts, “There are some wrongs that people will never agree with or accept, but that doesn’t mean that they can’t be forgiven. It also doesn’t mean that people should forget or accept any sort of similar mistreatment in the future.” She advises “we should forgive the ones who have hurt or angered us, which then allows us to unblock our energy, feel more peaceful and fulfill our desires. Forgiveness is done more to benefit the individual rather than the one being forgiven.” Join Martin McIlvenna & Candace Elliott for a small group on the Law of Forgiveness by Connie Domino that will explore the basis and basics of the book. March 22 – April 12 in Learning Center 5. 7:00 p.m…Historical Jesus with Dan Stracner | Over the past three decades, scholarship and debate about the historical Jesus have grown exponentially, driven in part by the work of the Jesus Seminar and its supporters and detractors and the proliferation of internet sites devoted to the topic. Viewpoints range from those who support orthodox Christian doctrines to those whom claim Jesus never existed, with many variations between. Dan Stracner will survey this fascinating field, exploring the various stages of the quest for the historical Jesus and touching on the work of thinkers who have visited All Saints, and a host of others. Reading materials and detailed bibliographies will be supplied. Six Tuesdays, starting March 8. The first meeting will be held in Learning Center 1. Wednesdays at 11 a.m., in the Guild Room. whether married or single, healthy or not. Five weeks, March 16 – April 13, in Scott Hall 2. 7:00 p.m…The Lemon Tree with Erica Hahn & Randy Heyn-Lamb | The Lemon Tree, by USC Professor Sandy Tolan, tells the story of the unlikely relationship between a Palestinian activist and an Israeli Jew, and the home and lemon tree they each owned and cherished at different times. Their 40 year relationship of friendship and pain is shaped by the events of the ongoing conflict. The book was named as the 2011 "One Diocese, One Book" selection by the Bishop Jon Bruno's Commission on the Middle East. Wednesdays, March 16 – April 13, in Scott Hall 4. 7:15 a.m…Managing One’s Self in a Sea of Uncertainty with Anne Peterson | Whatever you believe or disbelieve about Jesus, you have to admire his nerve. He challenged the way-we’ve-always-done-it thinking of his age, while operating out of the House of Love—never appearing to even visit the House of Fear. What kept him going? Using Edwin Friedman’s book, A Failure of Nerve: Leadership in the Age of the Quick Fix, we will explore ways to live out of the House of Love and remain centered in this era of uncertainty. Bring your life experiences, a copy of the book, and a journal. March 10, 17, 24, April 7 + 14 [no meeting on Cesar Chavez Day, March 31] in the Learning Center. ways to bring more compassion into your life. Five weeks, March 10 – April 14 [no meeting Cesar Chavez Day, March 31] in Learning Center 5. 7:00 p.m…RECALCULATING: Aligning your spiritual GPS with God’s Love, Justice and Compassion with Susan Russell | From the beginning of time human beings have faced the challenge of choosing between right and wrong – of making ethical decisions – of staying on course. For some Christians the answer is simple: “The Bible said it, I believe it, that settles it.” For others it is less about following a set of rules than it is about following Jesus – about incarnating God’s self-giving love as we journey into God’s future. For Episcopalians the guideposts for that journey are our baptismal promises. This Lent,spend five weeks reprogramming your spiritual GPS to move toward God’s values. March 10, 17, 24, April 7, 14 [no meeting Cesar Chavez Day, March 31] in the Guild Room. It was a delight and an honor to welcome back Archbishop Desmond Tutu to All Saints Church this morning. You can click here to watch his sermon on the ASC website ... and here to read the feature in the Pasadena Star News. There'll be more photos to come, but for the moment, here are a few snaps from a Five Alarm Glory Attack Sunday @ All Saints Church! BREAKING NEWS: First-ever "live streaming' the 11:15 service on Sunday, February 20! We've been blessed at All Saints Church to have Archbishop Desmond Tutu with us a number of times over the years, but THIS Sunday -- February 20th -- for the first time ever we'll be "live streaming" a service from Pasadena at 11:15am (PST). So join us -- online or on campus @ All Saints Church -- turning the human race into the human family one "live stream" at a time! The All Saints Jazz Vespers program brings together amazing musicianship and holy inspiration six times a year for a service of prayer, meditation and music. Join us for another transformative Jazz Vespers experience this Sunday as we welcome composer, arranger and jazz pianist Alan Broadbent! Born in Auckland, New Zealand, Broadbent began performing professionally at the age of 15, following classical studies. In 1997 he won a Grammy for his arrangement of When I Fall in Love for Natalie Cole. 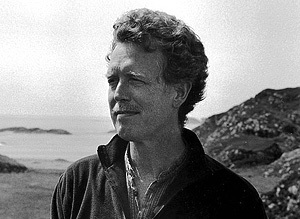 In 2000 he earned his second Grammy Award for best arrangement accompanying a vocal for Lonely Town, which he wrote for Charlie Haden’s Quartet West featuring Shirley Horn and strings. 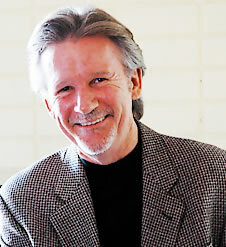 He is currently the musical director for Diana Krall. 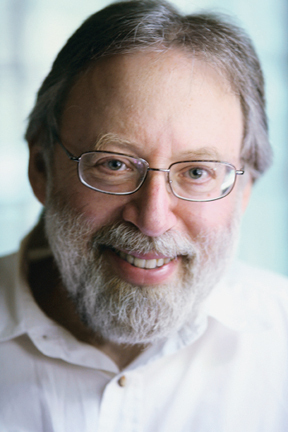 Awards and Rewards in Movies: Kenneth Turan in the Rector's Forum this Sunday! Will “The King’s Speech” duke it out with “The Fighter” to win best picture? Will directors who shepherd good films be rewarded as well? Will any of the elaborate gowns be outrageous enough to fill gossip blogs for weeks to come? Answers to all these questions and more will be answered this Sunday when our film-critic-in-residence Ken Turan returns to the Rector’s Forum for another award winning presentation of what’s hot and what’s not in the movie business – at recent film festivals and in the Oscar race. Turan says he loves coming here because of the questions from the audience, as well as the push-back he gets from some of the opinions he offers. His presentation will not only prepare you to watch the Academy Awards next Sunday night, it will be award-winningly fun to experience. Turan has been with us for important discussions of movies and meaning at our Lent Event and our conversations about religion and values in panels over the years. We are grateful and honored to welcome him back. A Visit from +Desmond Tutu: Sunday, February 20th! We send out an email to the parish from All Saints just about every week, announcing who's going to be in the Rector's Forum and any other "breaking news" that folks should know about. Last week's email -- about our Annual Meeting this Sunday included this "PS." 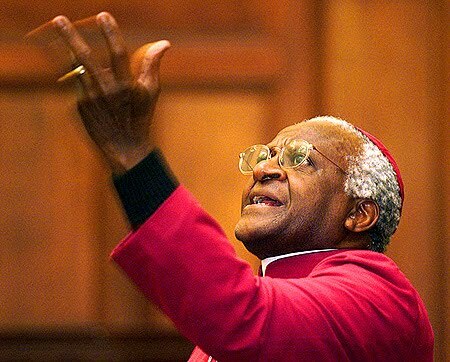 Sunday, February 20, our long-time friend Archbishop Emeritus Desmond Tutu will be with us for the 11:15 a.m. service. For those of you who would prefer a more relaxed worship experience, I recommend the 9 a.m. service where I will be preaching. Join us on Wednesday, February 16th at 7:30 pm for a never-to-be forgotten evening of inspiration, music and prayer with the Rev. Dr. John Philip Newell! The evening will offer Prayers for Peace through the amazing and enriching experience of chant, scripture, reflection and silence as found in the Abrahamic traditions: Judaism, Christianity and Islam. We are indeed fortunate to have the inspirational John Philip Newell with us! In addition to being widely sought after as a gifted speaker on Celtic Spirituality, he has served at Saint Giles Cathedral in Scotland, as Warden of Iona Abbey and has authored spiritually awakening and inspiring books such as Listening for the Heartbeat of God and Celtic Prayers from Iona. Join us on February 16 at 7:30 p.m. in the All Saints Forum to learn something very new and experience something very old. 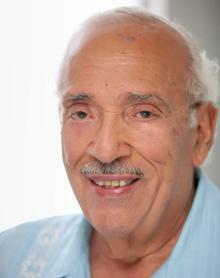 Years ago All Saints’ partner in interfaith work, Maher Hathout, left his home in Egypt and came to the United States in search of freedom. Today he sees signs of hope in the country of his birth. Hathout says the people of Egypt have been living under emergency law for nearly 30 years. If they can organize and sustain a peaceful, legal pressure until changes can be realized, he feels a new order may be possible. Hathout is a leading spokesperson for the American Muslim community, an international figure highly regarded as a positive voice with a valuable perspective on national and international issues involving Muslims. He has been invited more than once by the State Department to address critical international issues and is the Senior Advisor of the Muslim Public Affairs Council.